Audley also worked on radio quite a bit as well. She has done “Escape,” “Suspense,” and a radio play of Father Knows Best. Oddly, three years after the film “Cinderella” came out, she got the chance to play as the stepmother again in a radio adaptation of Cinderella. 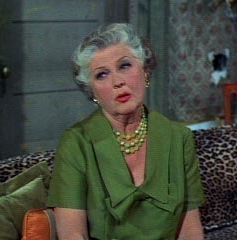 Eleanor Audley was an inspiration to many people who want to learn how to do a good heroic or excellent villain role. Audley is one that people could learn a lot from, and her legacy is one that will be remembered for a long time.